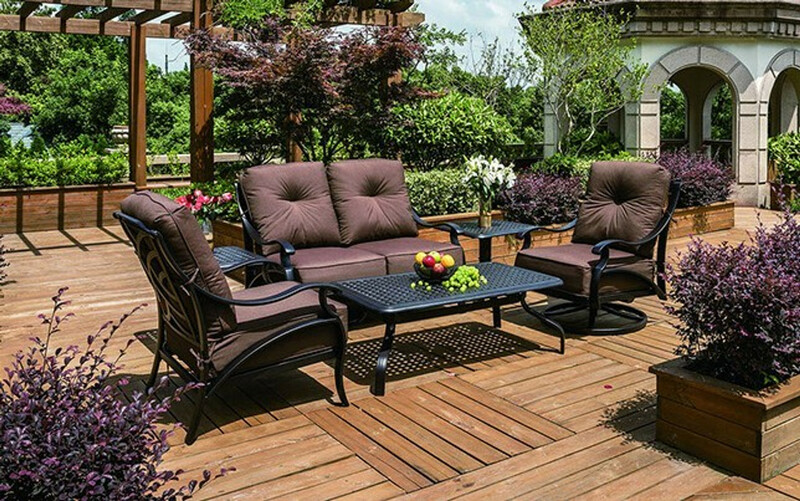 The Somerset Collection by Hanamint is crafted in cast aluminum and offers scrolling arms and a wave design backing. Hanamint's notorious 8-step powder-painted factory finish in Terra Mist will stay beautiful year after year. The extraordinarily thick plush cushions are covered in premium 100% solution-dyed Sunbrella fabric which gives this collection a rich, yet casual look for your backyard setting.